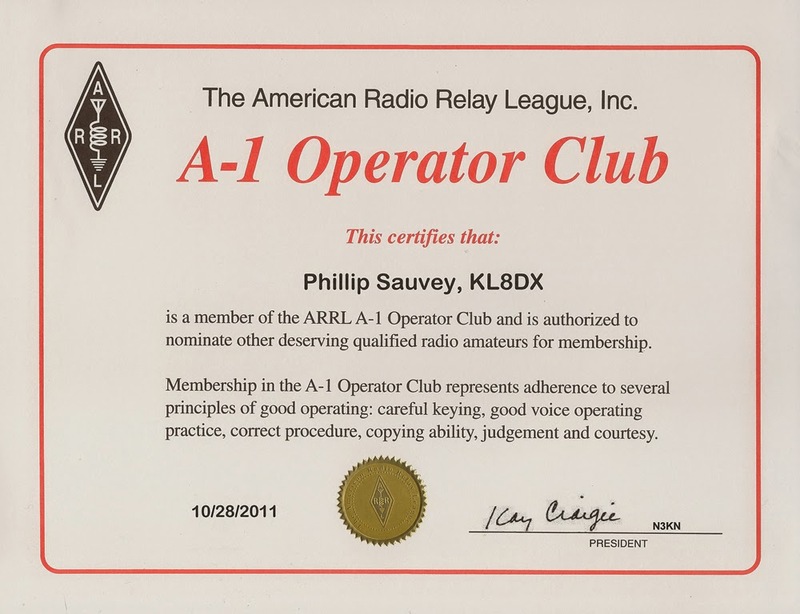 I received what I would consider a participation certificate from my 2013 ARRL DX CW Contest effort. In reading my old 3830 post, it was a rough weekend due to a solar flare but things apparently did not go any better as the weekend progressed. As the wallpaper trickles in, there should not be much left from my Alaska operation. It's hard to believe it's been nearly a year that we left the 49th in our rear view mirror. It was a sad day for sure. We do plan on returning in the future but until then, I have many fond memories of our life in the 49th. A career is like a river, it will flow via the path of lease resistance. I've done very little radio since landing in MA but I don't have a shack to draw me in either. Here, life is much faster than it was last year and with temperatures already in upper 60's and low 70's, we are drawn outdoors enjoying what is for us, a much earlier spring than we are used to. My 3830 post from the contesting archives from the contest. it came to Sunday, my longest CQ between QSO's was 27 minutes! Rough to say the least. what seems to be, growing practice. VY2OX (PEI) and N7NG (WY) call in for final stretch mults! If they were all easy, it wouldn't be contesting! It's pretty obvious that our friends at the League are working overtime in getting wallpaper in the mail. Here is one in which I received today. Of all the bands, I would say that 10 meters is my most favorite. It's so unpredictable and can be so darn exciting. I remember the Alaska contest group talking about nearly all night 10 meter openings and I could not wait to experience some great 10 meter propagation! It took a few years but things started to warm up as the solar cycle began to peak. It was not long before 10 meter contacts became a solid foundation on any weekend contest score. I'm just thankful I got to experience some great 10 meter DX before I had to pull the plug. In looking back at my 3830 submission, it's apparent that I lost a few points but I'm darn happy with this score. Not a Golden Log but I'll take it. I always enjoy re-reading my overviews of the contest and going back to this blog and reading the good and bad about any of my past contest submissions. And as you can see, I try to help those who are doing mixed by moving up to SSB when it works. I sure won't leave a pile-up if I'm running stations but if the opportunity is there, I will sure give it my best. As you can read between the lines, I knew that our departure from Alaska was looming as our jobs appeared to be taking us back to the lower 48. I truly miss my contesting station and operating from Alaska. 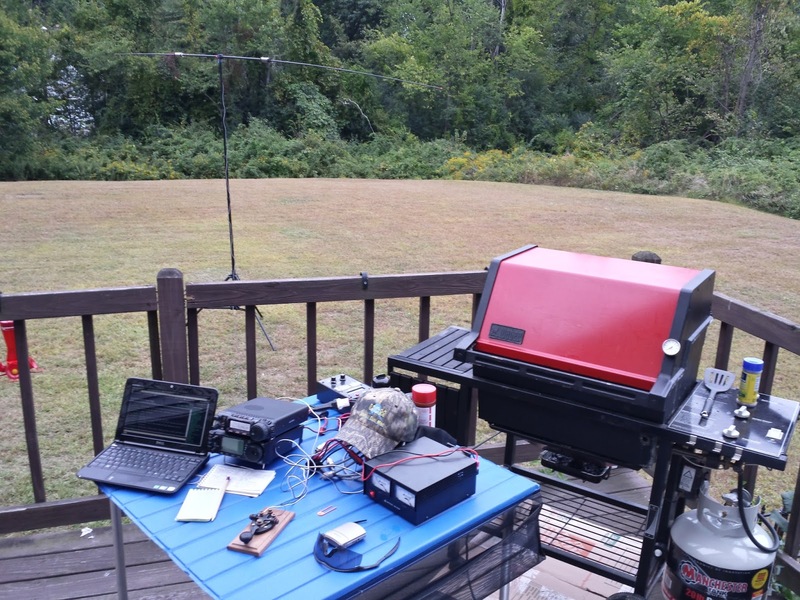 Even though it was an average station, your typical single beam at 40 foot accented with a few wire antennas, I was able to really have a ball and work some great stuff! Contests can be intimidating to anyone new to the fast paced world wide weekend craziness. But like driving a car, to get better, you just got to get behind the wheel and do it! so I also started out with NIL until Saturday morning. of a few hours thanks to the arrival of the SE wind flow. able to accomplished last year. to no avail. I missed more than I care to list. entities fall easily into your logbooks in 2013. Very nice to see this wallpaper show up in today's mailbox. Also glad to see that it followed me here to MA from AK. I must say, the redesign on the new ARRL certificates are outstanding! I love everything about them. This certificate caught me by surprise as I've boxed up all of my accomplishments and have not kept track of what, if any, I had yet to receive. This certificate will be placed in a frame and be boxed away with my other from my Alaska operation. I'm not sure when they will be able to be posted on a wall again but I'm hopeful that someday that I can have my Alaska wall showing the fruits of my contesting efforts. In looking at what I submitted to 3830, I apparently had a few calls pulled as my submitted and final score were off a bit. I will always strive for that golden log but I'm happy with the outcome all the same. There is no paper like wallpaper, of the award variety of course. log RTTY heavy hitters AA5AU and GU0SUP! overview of this contest to my blog site. The photo to the left is one that I took shortly after arriving to Boston from Denali. 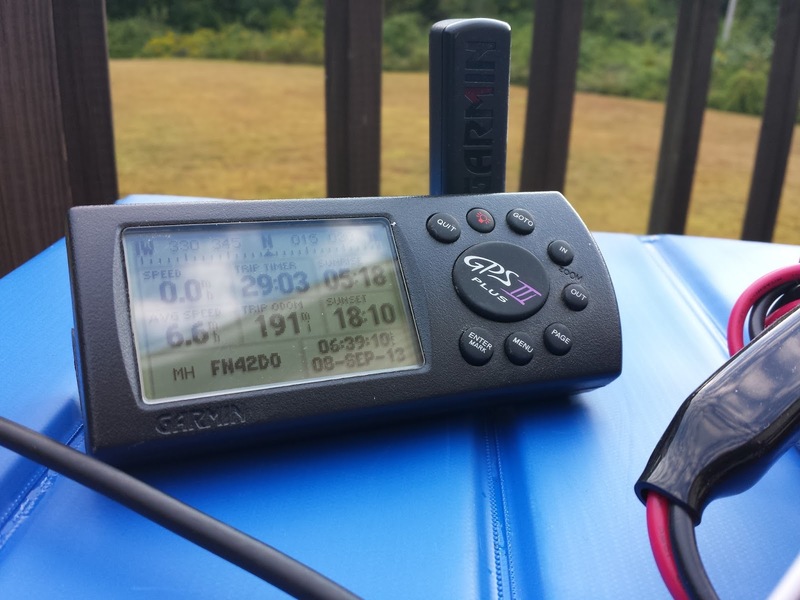 The photo represents my final blog post with KL8DX as my callsign. The ship represents my current new life and the sunset represents the wonderful adventures I left behind, all west of here. I made so many great friends in my nearly 10 years of operating in Alaska. What a thrill it was both from casual operating to contesting. Anyone who has followed my blog for awhile knows I very much enjoy contesting. I've had many great accomplishments but then again, fewer contesters allow for great opportunities for wallpaper. Upon arriving to Boston, knowing my ham license would expire at the 10 year mark (November), I continued to think about changing my callsign. I did not want to get on the air during a contest and have other contesters think I was still in Alaska. I also saw that having to send /W1 after my call would also be confusing to some. Since I had to pay for round two of my Vanity Callsign issuance, I decided to just go ahead and change my call. Living in 1land, I probably should have chased a 1 callsign but I opted for (knowing pretty much from that start what I wanted) for AK2MA. It meant obviously Alaska to Massachusetts. I had a bit over 5,000 road miles to brainstorm on what a new call could be. Also, in doing a bit of research, it's a callsign that I don't believe has been issued before. I have yet to send it on the air but it seemed like a pretty good CW callsign. I'm looking forward to trying it out both on the keyer and with the straight key not to mention on the digital modes. 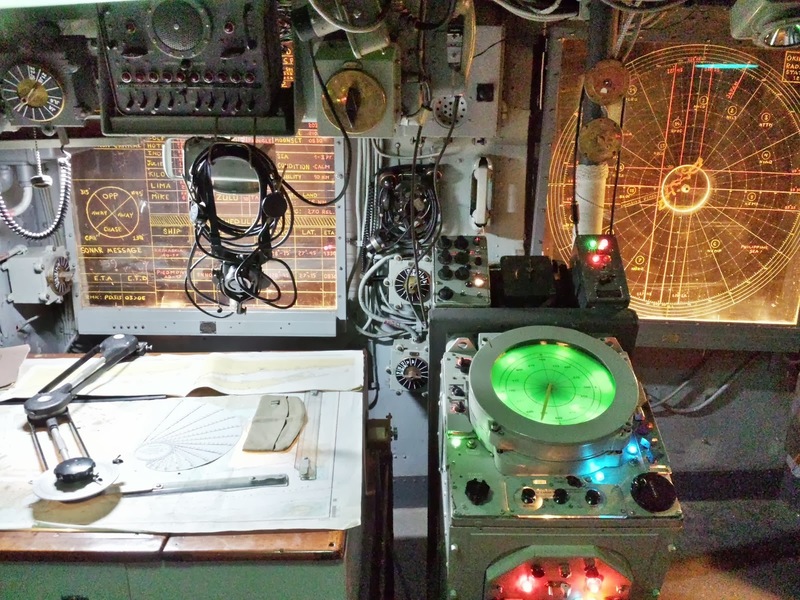 So, with a new callsign, I decided to start a new blog. I can't thank all those that have taken the time to read my ramblings over the last several years. I'm afraid my ham radio life will not be nearly as interesting as it has been. I hope to do more portable operating here in the lower 48. Something tells me that propagation will be a bit more user friendly here than it was at 63 degrees. Either way, I'm hopeful that my ramblings will continue to be of some interest and worth reading. I'm sure I will be returning to this blog to travel down memory lane and how knows, maybe, just maybe, I will be operating from Alaska again someday. One of the toughest decisions I've had to make was what to do with my callsign when I relocated. I knew that when I ventured back into contesting, my current callsign would just not work down here. So, with my 10 year license issuance of KL8DX soon to expire, I knew my Vanity Callsign fee would come due when I renewed it. I decided that it was probably better to pay the fee once, so I needed to decide what my new callsign would be. 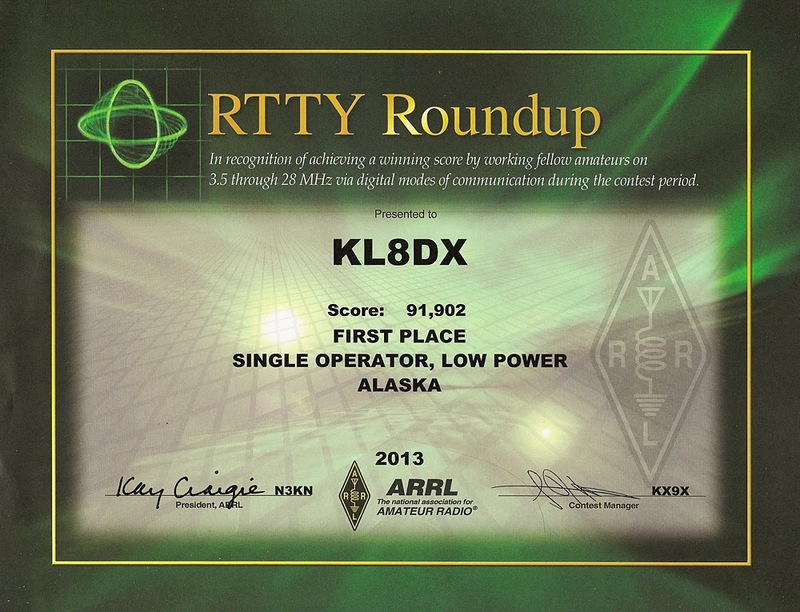 My original Novice callsign (KB8DVT) was issued by the FCC as the next in line. My Ohio Advanced callsign was the same, issued by the FCC as next in line. I liked KE8RO as it kinda reminded me of W6RO, or the Queen Mary. It flowed well on the key and it was easy to recognize on CW. When I upgraded to Extra class, I decided to hang onto my Advanced callsign. When I moved to Alaska, being an avid DX'er with over 300 countries (entities) confirmed and approved, and being from 8land, it was simple in my callsign selection. KL8DX just seemed to work so I applied and received it. The 8 caught many off guard when I first got on and up until my last day of operating in Alaska, it continued to be a topic of coversation. It was sure nice to have in WPX contests being one of the most active KL8 stations. A Vanity callsign is personal and normally has some sort of meaning. People like their initials in their callsign or it represents something to them. I've worked many "neat" callsigns over the years, some almost as long as my arm. Anyhow, after giving it some thought and running it past my ham spouse and my close friends KL1SF and N1TX, I decided to apply for my new callsign. Ii submitted my application on September 18th, 2013. With the government shutdown, things were delayed a bit but as of today, I found my callsign of KL8DX had been cancelled. I searched my new callsign and there it was, brand spanking new! So, now the real work begins. Changing my callsign with all the clubs and organizations I belong to. Heck, I just changed my address in the last month, too. But, it's all part of the transition. Now my new life in ham radio begins with a new callsign to memorize and get used to sending on the key. In the end, I'm sure all will understand why I chose the callsign that I did. It's representative of the next level in the winding road of my ham radio career. With that, I will say my last 73 with the callsign of KL8DX and I hope to catch you on the bands with my new callsign. With the retrieval of my portable antenna and other equipment, I was bound and determined to hear a bit of CW this weekend. Saturday, I assembled my portable station on the rear deck of our house. I was also playing grill master as I had promised my wife burgers on the grill. I assembled my Buddipole antenna and then pulled my Icom and Yaesu out of mothballs. I opted to use the Yaesu so I could have a bit more power. I tuned 20 meters and heard a few CW signals along with a few familiar callsigns working the SKCC Weekend Sprintathon. My addiction for getting on the air with my key is stronger than my addiction for dark chocolate. And, I LOVE chocolate. Hearing the CQ's, I could not resist and I threw my callsign out. It was not long before I managed four QSO's with the longest distance being with Bert, F6HKA. I've worked Bert many a time from my QTH in Alaska, so it was a pleasure to work Bert from my new QTH. One of the things I wanted to do was to pin point my latitude and longitude. I also wanted to double check my grid square. I fired up my Garmin GPS III and once it settled out, I had the information I was looking for. I went from being the most active station in my grid square in Alaska to a very active grid square here in MA. After working my four stations, I shut down for the evening. As we are still unpacking and getting organized, my ham radio adventures will be spotty at best for a bit. I don't expect to have any type of good antenna up anytime soon. I left the Buddipole assembled in the backyard for Sunday. When I finally got the chance to set up my back deck portable station on Sunday, I found very little favorable propagation. I heard a few weak stations and that was it. No future contacts logged but there will be another day. At least I was able to hear the sweet sound of CW once again and log a few QSO's. As you can see, I changed the name of my blog. I will continue to write about my operation, which will continue to be more portable and low profile for awhile. I would love to get my Hex Beam in the air before the snow arrives but we shall see. I would also like to get my vertical back in operation. We are starting to see the leaves beginning to change here, so I'm looking forward to fall. It will be nice having a fall that's longer than a few weeks. This winter will be very different for us. I miss many things about Alaska but the aurora overheard will be one I miss greatly this winter. I have received several comments regarding my blog. Thanks very much for the kind comments. Obviously, my Alaska activities will no longer be a topic until I return. I do expect a few more blogs here as I'm hopeful on receiving a bit more wallpaper from my Alaska operating. It was suggested to just rename this current blog and I may just do that. I did not realize I had such a few dedicated followers, all of who I appreciate that take time to read my ramblings. Anyhow, thanks for the emails, twitter and facebook suggestions. I will keep ya posted on our winding road.